Last week, Secretary of State Mike Pompeo announced the maximum number of refugee admissions for the next fiscal year has been set at 30,000. Breaking even last year’s historic low, this ceiling cap sets a new low and further restricts humanitarian aid to a growing number of displaced people seeking safety from violence and persecution. This announcement is part of a series of efforts from the current Administration that seek to undermine the Refugee Resettlement Program and to create new roadblocks to many of the world’s most vulnerable who are attempting to flee serious persecution to start a new life in the United States. Historically, the United States had demonstrated a strong commitment to refugee resettlement by successfully integrating refugees into communities across the country. This commitment resulted in strong contributions to the national economy and labor market. In 2015, refugees across the United States contributed $20.9 billion in state and federal taxes. This same year, refugees in North Carolina contributed almost $274 million in federal and state taxes while holding $831 million in spending power. These numbers demonstrate a glimpse of the positive impact immigrants have in local communities across the country. Still, the current administration continues its devastating battle against immigrants. From incorporating a ban on refugee admissions and threatening programs such as DACA to gutting long-standing principles of asylum law and expanding family detention, this administration has weakened refugee and humanitarian policies, pulling the United States back from its historical commitment to strengthen human rights. In a time where 68.5 million people have been forcibly displaced by conflict and the number of refugees has reached 25.4 million, it is inexcusable to disregard the current humanitarian crisis and turn our back on vulnerable people living in danger. Unfortunately, the real decline in refugee resettlement may be even more dramatic than the lower cap would indicate. The annual ceiling sets the maximum number of refugees allowed to legally enter the United States, but it does not require the country to accept a specific number of refugees. 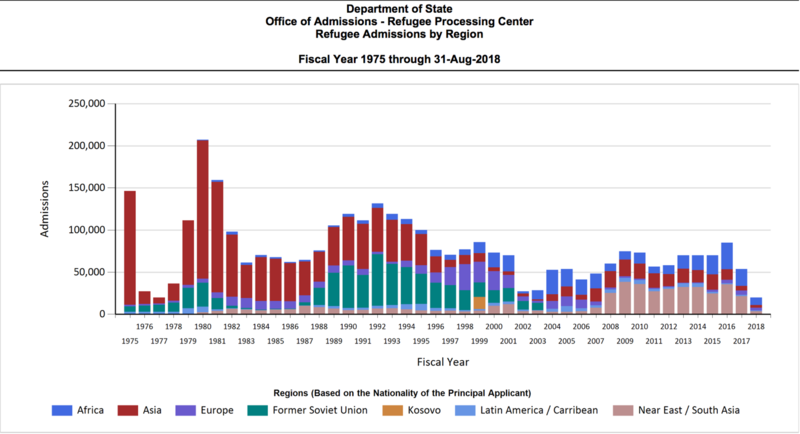 In the 2018 fiscal year, the United States had a historically low admittance cap set at 45,000, but it actually accepted less than 22,000 refugees. These figures demonstrate a strong likelihood of refugee admittance falling below the 30,000 cap during the coming 2019 fiscal year. In a country whose moral and economic strength is rooted in welcoming people searching for a better life, these policy reversals should be seen for what they are: a violation of our history and a threat to our future. Lissette Guerrero is an intern with the Budget & Tax Center and with Immigrant Refugee Rights, projects of the NC Justice Center. 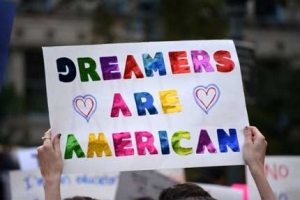 Protecting and expanding the Deferred Action for Childhood Arrivals (DACA) program would boost state and local public finances, according to a new report. While the human toll of aggressive deportation policies and inflammatory rhetoric play out in communities across the country, a less visible harm is being imposed on state and local finances. DACA helps young immigrants to more fully realize their human and economic potential, which in turn means more tax revenue for state and local governments. On the other hand, ending the program would erode state and local finances and crush Dreamers’ aspirations. In North Carolina, DACA recipients contribute an estimated $58.5 million in state and local taxes, a figure which could increase by almost $21 million if all of the young people eligible for DACA enrolled in the program, and which means a $28 million decrease if DACA ends. Nationwide, enrolling everyone who meets the criteria for DACA could boost state and local tax revenues by $815 million. While members of Congress seek to make the H-2A program cheaper and easier for employers by rolling-back worker protections, the US Department of Labor continues to kick bad-actor employers out of the program. This week the USDOL’s Wage and Hour office in Raleigh announced that they had debarred two farm labor contractors from the H-2A guestworker program. This is just the latest in a series of such announcements, which underscores the flaws in the H-2A program. The H-2A program allows employers to bring in foreign guestworkers to work in agriculture for up to 10 months. By statute, H-2A visas are only supposed to be issued when importing foreign labor will not have an adverse effect on the wages and working conditions of the local workers doing the same kind of work. To that end, DOL has passed regulations which govern the test of the local labor market which employers must first do before being permitted to bring in visa workers. Additional regulations govern how workers – both H-2A visa workers and U.S. workers – are treated on the job, including setting a minimum wage, a minimum hours guarantee, the requirement that employers provide free housing which meets minimum standards and that employers reimburse the foreign visa workers for their inbound transportation costs and the expense of obtaining their visa. The reimbursement requirement is important because visa workers usually arrive in the U.S. to begin working with significant debt, making it difficult for them to afford basic necessities, unlikely to complain about dangerous or illegal working conditions, and vulnerable to human trafficking as discussed in several publications (Close to Slavery, No Way to Treat a Guest) and articles (The New American Slavery: Invited to the U.S., Foreign Workers Find a Nightmare; “All You Americans Are Fired”). This week’s announcement from the Raleigh USDOL office comes on the heels of similar announcements in April and May. Worldwide Staffing, LLC, another H-2A Labor Contractor, was debarred by USDOL in April for failing to reimburse employees for inbound expenses, owing wages, failing to provide adequate cooking facilities and overcharging for meals. In May, USDOL announced they had debarred Marisa Garcia-Pineda, an H-2A labor contractor, who owed $195,735 in backwages, had charged illegal recruitment fees, and failed to reimburse the workers, among other violations. That is all just from the last few months and there will be more this year. Kudos to USDOL, but these actions represent a very small fraction of the problem because they can only debar employers from the H-2A program in the most extreme cases. Despite the well-documented history of abuse of workers in the H-2A program, efforts in Congress to roll-back worker protections are ongoing. Representative Goodlatte’s terrible Agricultural Guestworker Act was part of more comprehensive immigration legislation that was recently voted down in the House, but apparently Speaker Ryan has promised to address farm-labor legislation this summer. In addition, the Trump Administration is expected to introduce new proposed rules for the H-2A program which would make it cheaper and more appealing to agricultural employers while undermining the basic protections for workers. Commentary, immigration, Trump Administration, What's Race Got To Do With It? In Commentary, immigration, Trump Administration, What's Race Got To Do With It? 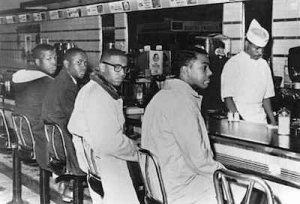 “The Greensboro Four”: Four men began a 1960 protest in a Greensboro Woolworth’s over racial segregation. Much has been made over a Virginia restaurant owner’s decision to boot Trump Press Secretary Sarah Huckabee Sanders last month. The controversy spurred countless think pieces and ruminations on the balance between civility and disagreement. Expect similar hand-wringing over a New York woman’s Fourth of July protest at the Statue of Liberty, in which Therese Okoumou said she wanted to draw attention to the president’s shameful immigration policies. Now a new op-ed in The News & Observer from Duke history professor William Chafe offers some historical perspective on the debate. As Chafe points out, such debates surrounded protests during the Civil Rights Movement. When Donald Trump’s press secretary was asked to leave a restaurant because of the president’s policy of breaking up immigrant families, it was seen as a violation of “civility” — treating other citizens with politeness and respect. But what happens when dedication to “civility” is used as a basis for suppressing protest? Is it necessary to insist on good manners in public and private before responding to demands that an unjust social policy be changed? Yet the civil rights movement succeeded only because it insisted that racial justice take precedence over “civilities.” Through sit-ins, voting rights marches and mass demonstration, it disrupted the social order. Only then was the government compelled to respond — which it did with the Civil Rights Act of 1964, the Voting Rights Act of 1965 and the Civil Rights Act of 1968. If “civilities” took priority over movement activism, these events would never have occurred. Justice required breaking with civility. Today, Douglass’ insight is more relevant than ever before. We are now more polarized as a nation than at any time since the Civil War. Yet just as a reliance on “civility” failed completely to address the demands of black Americans for equal rights in 1960, the same insistence on “civility” today — without ever addressing the depth of our racist assumptions about immigrant families and other minorities – is futile. Direct demonstrations were essential to the gains achieved by the civil rights movement in the 1960s. 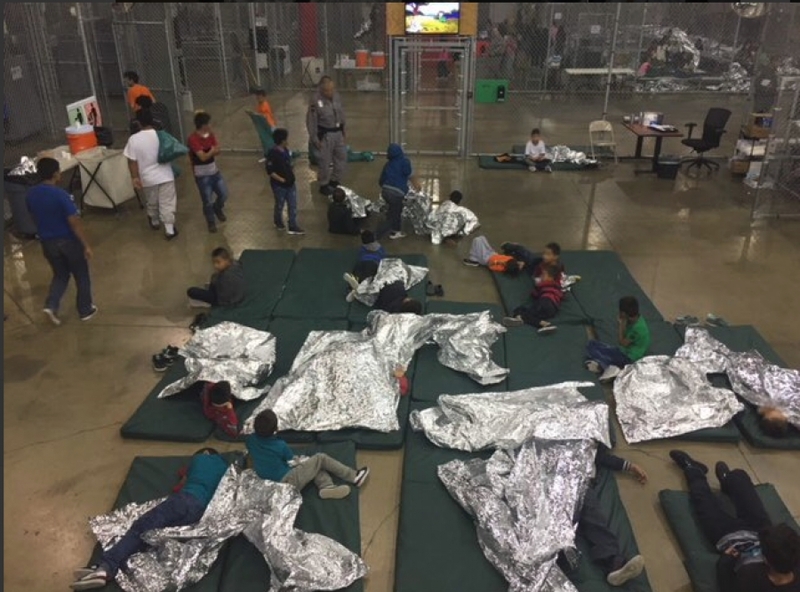 Activist protest, such as we saw this past weekend, is just as essential today if we are to address the violation of immigrant rights and the break-up of immigrant families. Yes, we should respect the right of any person to enjoy a meal in a public restaurant. That’s what the civil rights movement was all about. But no, we should not use the argument of defending “civility” to deflect, denigrate or rule out of order mass protests against an immigration policy that contradicts all the values we celebrate on July 4. The only society that can be truly “civil” is one where everyone enjoys protection under the law, and where the values enunciated in our Declaration of Independence are the basis for our nation’s policies and the rhetoric of our national leaders. Our nation has been made up of immigrants. My grandfather was the 14th child of a tailor from England. He came to America to seek a new life, and got a job as a night watchman at Harvard. His daughter, my mother, became a secretary at Harvard. I, in turn, became a student at Harvard. Three generations — and a story repeated in other immigrant families tens of thousands of times.